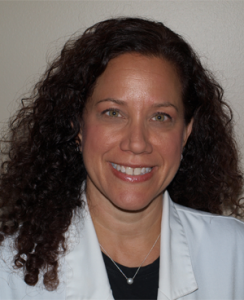 Beth Kohn-Converse earned her Master’s degree in Traditional Oriental Medicine in 1999 through the Pacific College of Oriental Medicine in San Diego, CA. She is registered in the state of Michigan, licensed in the state of California and is nationally certified in Acupuncture and Chinese Herbology through the National Certification Commission for Acupuncture and Oriental Medicine (NCCAOM). While in graduate school, Beth was able to gain specialized experience treating patients in the field of palliative care through the San Diego Hospice Center. After working in a private practice in San Diego, Beth relocated to Manhattan, New York to work as part of an interdisciplinary care team in a physical medicine rehabilitation clinic. While in New York, she received specialty training in the field of addiction and recovery through the Lincoln Recovery Center in the Bronx. Beth was in New York City during the 9-11 tragedy and was a volunteer providing acupuncture care to the FEMA workers during the rescue and recovery efforts. In 2004, she relocated to Michigan to join the team at the Henry Ford Center for Integrative Medicine where she practiced for seven years. She participated in many aspects of research and was recognized for her work with the Susan G. Komen acupuncture/Venlafaxine study which was published in the Journal of Clinical Oncology in December 2009. She was also published for her treatments provided for the study “The Use of Acupuncture in the Management of Chronic Haemophilia”, published in the Haemophilia online journal in 2012. She had been a board member for the Michigan Association of Acupuncture and Oriental Medicine (MAAOM) and continues to have general membership in the association. She was also an advisory board member for Oakland University’s Complementary therapies program and for the planning and development board for Henry Ford’s West Bloomfield Hospital. Beth enjoys educating patients to help them achieve their health care goals. She uses Traditional Chinese Medicine to help patients with many health issues including pain syndromes (headaches, neck and back pain, etc), digestive disorders, emotional health concerns such as depression, anxiety, panic attacks, etc, management of chronic diseases. (fibromyalgia, chronic fatigue, etc), and women’s health issues, (ie: PMS, dysmenorrhea, fertility support, menopausal imbalances). She enjoys lecturing to other healthcare professionals and to the community. In her free time, Beth finds joy traveling, exercising and spending time with her husband, Dan, and their dog, Bentley. Nicole received her master’s degree in Traditional Chinese Medicine (“TCM”) from the Midwest college of Traditional Chinese Medicine and Acupuncture in Chicago in 2001. She studied Chinese obstetrics and gynecology and infertility issues for 2 years in London, England with a Chinese herbalist, Dr. Liu Zhang. Moving back to Chicago, Nicole then worked at the Advocate Illinois Masonic Integrative Medicine Center for seven years. It was one of the first hospitals in Chicago to offer Integrative Medicine. She also helped start the acupuncture division of Pulling Down the Moon, a holistic fertility center in the heart of Chicago. 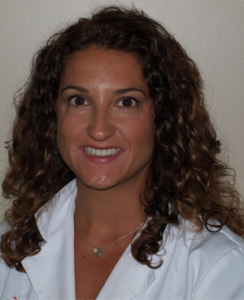 Nicole is employed by Beaumont Hospital’s multidisciplinary Integrative Medicine Center and maintains a private practice in Farmington Hills. Nicole treats a wide range of disorders, including women’s issues such as infertility, pelvic pain, menstrual disorders, PMS and hot flashes, as well as oncology and chronic pain patients. She loves all kinds of fitness, from crossfit to yoga, to running and biking with her 2 boys. Nicole is a certified yoga instructor, and uses yoga therapy with her pain patients.